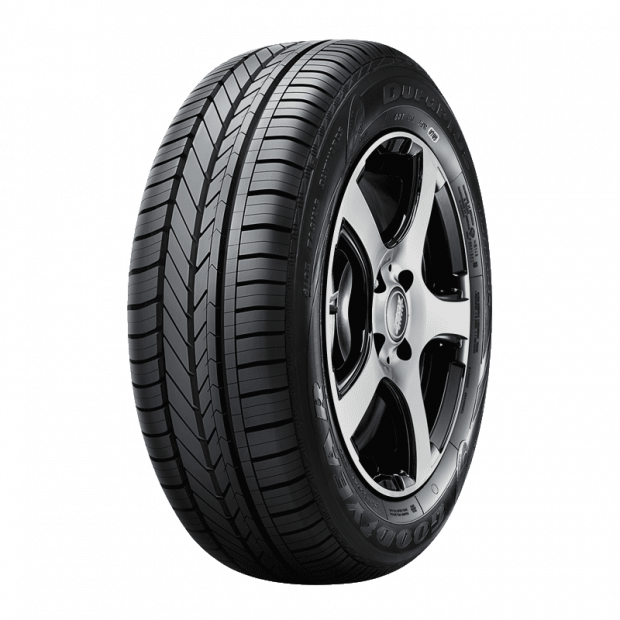 The Goodyear Duraplus has been designed to deliver a durable and long lasting tread by utilising Goodyear Tredlife Technology. Behind Tredlife Technology are a number of tyre design innovations made to deliver longer lasting treads. It incorporates a wider tread profile that leads to an increased road footprint and more wearable rubber in contact with the road. Furthermore, an advanced carbon-based tread compound is used so that the tyre has a higher resistance to frictional wear, which can further increase the tyre's tread life and increase mileage.